Mortgage applications decreased 3.2 percent from one week earlier for the week ending January 27, 2017. 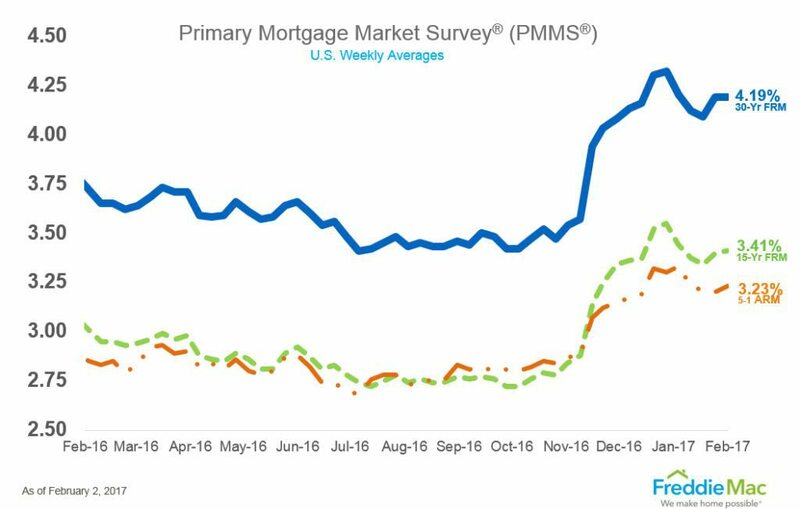 The refinance share of mortgage activity decreased to 49.4 percent of total applications from 50.0 percent the previous week. The average contract interest rate for 30-year fixed-rate mortgages with conforming loan balances increased to 4.39 percent from 4.35 percent. Construction spending during December 2016 was estimated at a seasonally adjusted annual rate of $1.1815 trillion. This is 0.2 percent below the revised November estimate of $1.1844 trillion. The December figure is 4.2 percent above the December 2015 estimate of $1.1337 trillion. 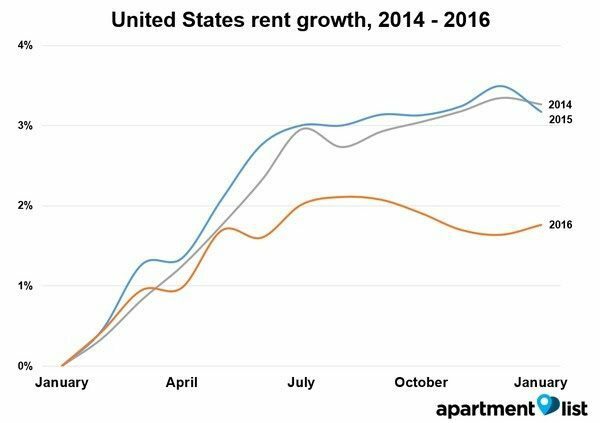 Nationwide, rents increased rapidly throughout 2014 and 2015 but have plateaued since May 2016. Rents have fallen in San Francisco, San Jose, Miami and Houston.